On behalf of the Equinox School Council, welcome to the 2017-2018 school year! For new parents, the Equinox School Council is a forum for involving parents/family and community in matters that affect the education of students. It is run and managed by an annually elected group of parent volunteers. Every Equinox parent who attends a School Council meeting has the right to vote on any matters presented. The School Council has been working hard over the summer planning lots of great things for this fall. 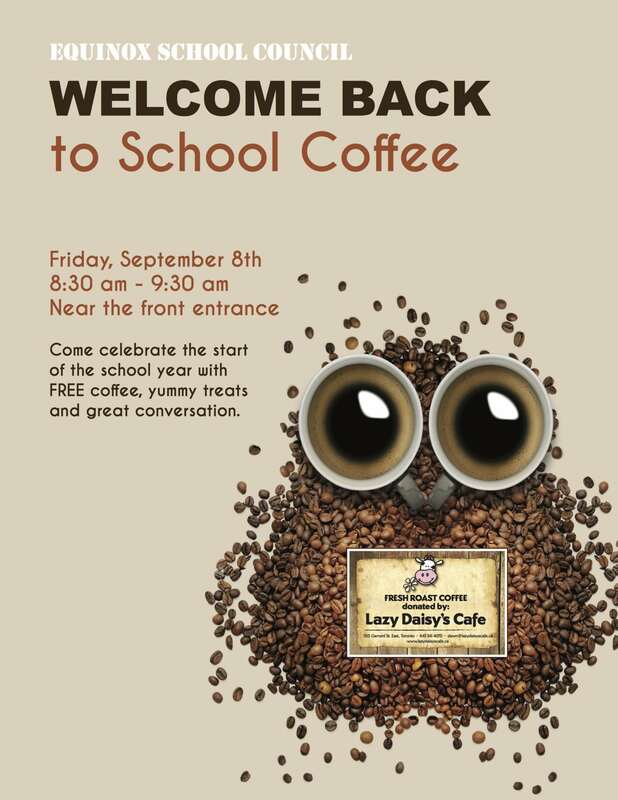 A Welcome Parents Coffee event will be held by the front entrance of the school. Lazy Daisy Café has graciously donated the coffee. There will also be some yummy home-made treats. Come and mingle with parents and meet Equinox’s new Principal, Catherine Pollock. The Roden and Equinox School Councils are working together to try to set-up a new lunch service at our schools using a third-party provider called Kids Lunch Program. It is a flexible service that allows parents to custom order their child’s daily lunch and snacks to meet their unique needs and requirements. A minimum commitment of 35 Roden/Equinox students is required for this lunch service to occur. If you are interested in participating in this parent paid-for lunch service, please click here to complete the form by September 15th. The Equinox School Council will confirm with those who have completed the form if we have enough interest to run this program. THIS FORM IS TO CONFIRM THE INTEREST LEVEL ONLY!!! Actual registration for the program will occur once we have confirmed there is enough people who want to participate. This service is not paid for or subsidized by the school or School Council. The Winter Fair Committee is starting planning early this year for our school’s largest fund raising event held in December. This committee needs more parent volunteers. If you are a parent interested in learning more and/or want to attend this meeting, but need directions, please email Chair@EquinoxSchool.ca. The Roden and Equinox School Councils are pleased to host our first ever FREE Kids Clothing Exchange. A perfect way to get rid of items your children no longer fits or wear! Better yet, save money and get “new to you” much needed pieces for your family. No donation is required to participate. All items remaining at the end of the event will be donated to the Red Door Shelter. 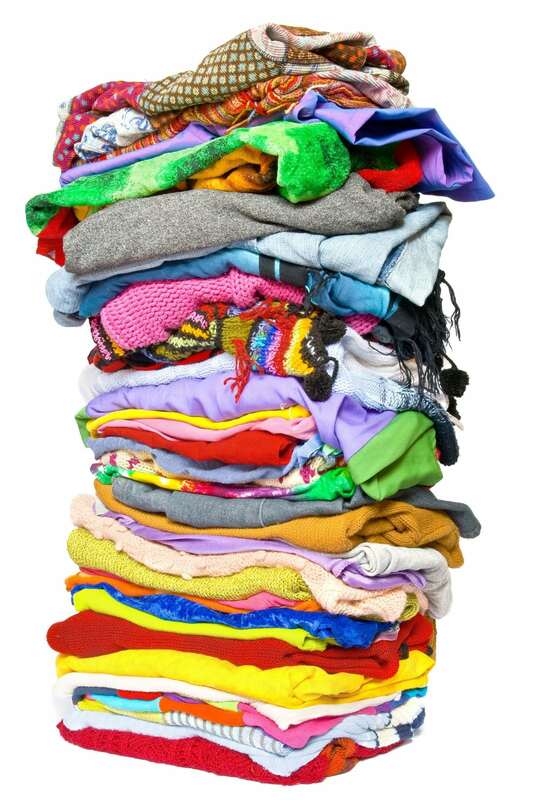 All donated kid clothing should be in good condition and clean. Please drop-off donations at the Roden/Equinox school the week of September 11th during school hours. Follow the signs to the drop-off location. If you need after hours drop-off, email Chair@EquinoxSchool.ca. Join us for the first School Council meeting of the year! It’s a great way to stay informed on what’s happening in your child’s school and to meet other Equinox parents. At this meeting we will be holding a vote for this year’s School Council Executive Members. The School Council positions are Co-Chairs, Co-Secretaries and Co-Treasurers. If you are interested in applying for one of these positions, please see Jodi in the front office and fill out a form. If you have any questions about these positions or the School Council in general, please email Chair@EquinoxSchool.ca. *If you want an item added to the School Council September meeting agenda, please email Chair@EquinoxSchool.Ca. Come and learn more about your child’s curriculum this school year. Need dinner? Roden and Equinox School Councils have got you covered. We are selling pizza and beverages starting at 6 pm to help raise funds to support the schools. 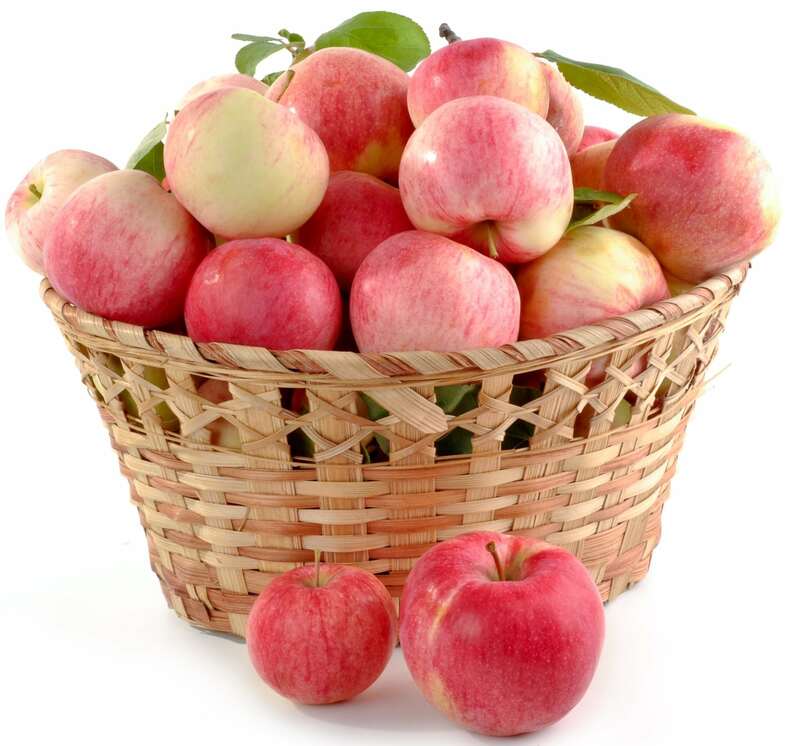 Order Your Fall Harvest Basket!!! Get your fresh vegetables and fruit this fall straight from local Ontario farms. Forty-percent of every purchase will go to support the Equinox grade 7/8 end of year trip. Orders can be placed in-person at the school front office or through www.SchoolCashOnline.com later this week once its up and running in the system. If you are placing an order through the front office, please bring exact change. What makes Equinox Holistic Alternative School (Equinox) great is our people. We have such thoughtful students, teachers, staff and parents. Each person, in their own way, is responsible for successfully contributing to building our caring and supportive school environment. We truly are a community. All Equinox families are required to commit a minimum of 20 volunteer hours every year to the school. To help make volunteering easier, the School Council has launched an online volunteer form. This will allow you to better share with us how you would like to volunteer your time at the school. Did you know there are even volunteer opportunities that can be done from the comfort of your own home? It is only by working together that we can ensure Equinox continues to be the thriving and amazing school experience we all dream of for our children. Please like the School Council Facebook page to keep up to date in real time about Equinox activities and events.